I know what you’re thinking. I eat blueberries on the regular because they are one of the fountain of youth foods. I should. But I usually just bake them into muffins and cakes and call it a day. I found this recipe on the cooking during stolen moments blog, listed in the blogroll below and have made it a few times. My dad loves it. Someone told me a fight almost broke out over this cake. It is light and lovely. Thank heavens for foodie blogs and bluberries. 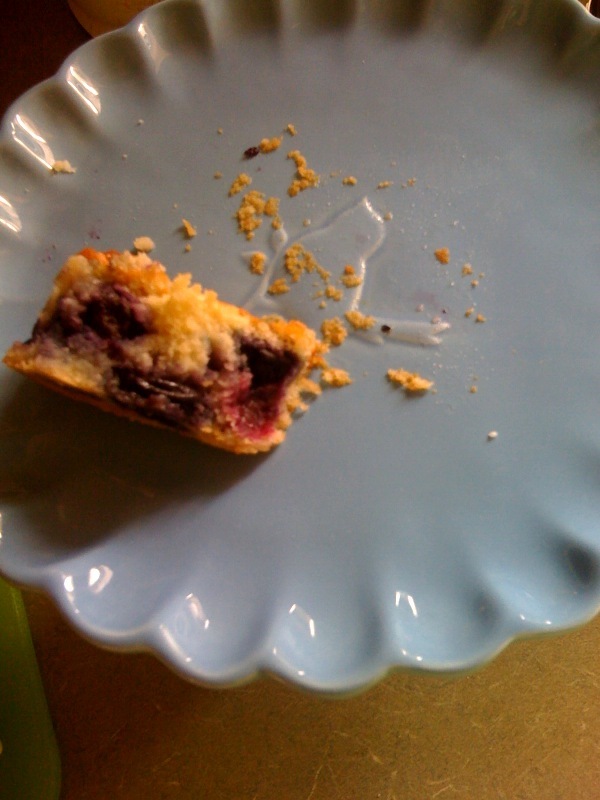 This entry was posted in Cakes and tagged Blueberry, Blueberry Coffee Cake, Cake. Bookmark the permalink.